The Eighteenth Judicial District Commission on Judicial Performance, by a vote of 9 in favor and 1 recusal, recommends that Judge Robert Charles Tobias BE RETAINED. 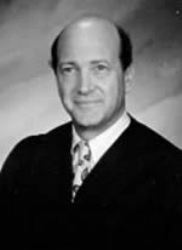 Judge Tobias has served as a County Court Judge from April 1995 to the present. He earned his undergraduate degree in history and government from the University of Arizona in 1968. He attended the University of Denver and received his law degree in 1971. Prior to his service on the bench, Judge Tobias practiced criminal law, domestic relations, and landlord/tenant law. He regularly conducts “Our Court” presentations, assists with high school Mock Trials, and speaks at various public/educational programs involving the judicial process. The commission conducted a personal interview with Judge Tobias, reviewed opinions he authored, and reviewed surveys sent to attorneys and non-attorneys. Among the survey questions was “how strongly do you recommend that Judge Tobias be retained in office?” Of attorneys responding to the survey, 88% recommended retaining, 5% not to retain, and 8% made no recommendation regarding retention. Of non-attorneys responding to the survey, 92% recommended retaining, 2% not to retain, and 7% made no recommendation regarding retention. (These percentages may not total 100% due to rounding). Judge Tobias presently presides over a mixed docket. The overall average grade for Judge Tobias in the survey results from both the attorneys and non-attorneys exceeded the average of all county court judges. Judge Tobias received an overall combined average grade of 3.65 out of 4.0. The comments in the written evaluations were positive from both attorneys and non-attorneys. He received comments such as “honest” and “fair”. Through the commission’s extensive research and review process, the commission finds that Judge Tobias is an outstanding judge and should be retained.